Our X Banners are the most cost effective display solution on the market for large campaigns and promotions. Full color print on anti-curl PVC media with a smooth finish for detailed graphics. Display area : 600 mm x 1600 mm. The X Banners compact design makes travelling a breeze. More than one marketing message per stand, the print can be changed in minutes. The X Banner’s affordability makes it the ideal marketing tool for a nationwide promotional roll out. 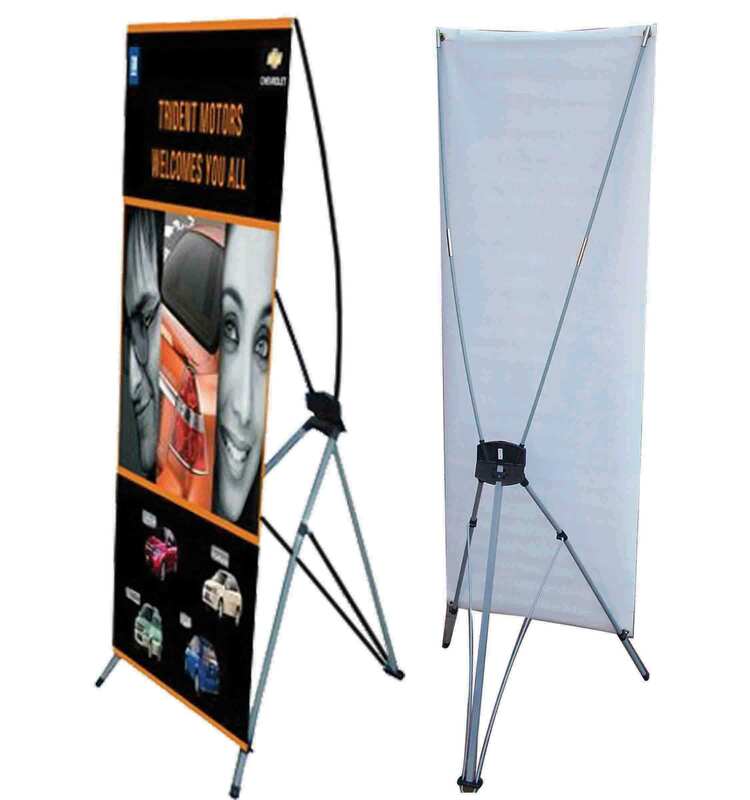 The X-Banner includes a full colour print, banner stand and carry bag. Design is not included.If you prefer to design your own banner, please request a template. We offer a full countywide distribution service. X Banners – The Advantage.